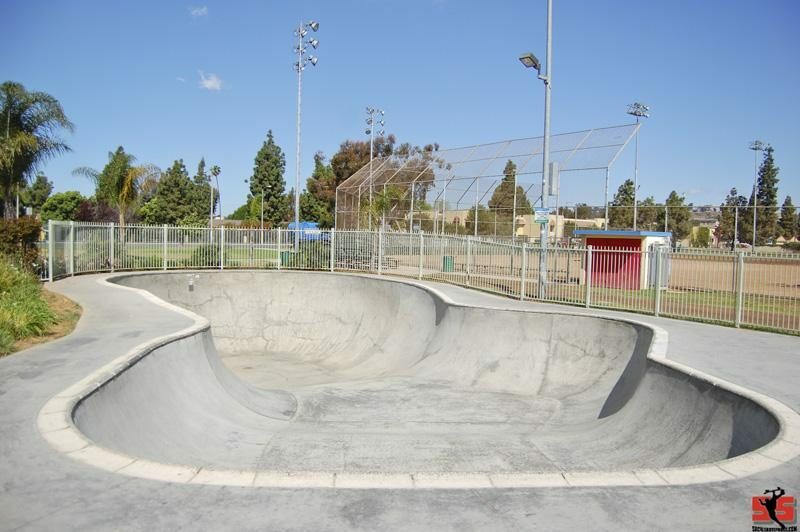 A big weird clover bowl, a fun little kidney bowl and a fun street section with large banks,euro gaps,ledges and handrails. 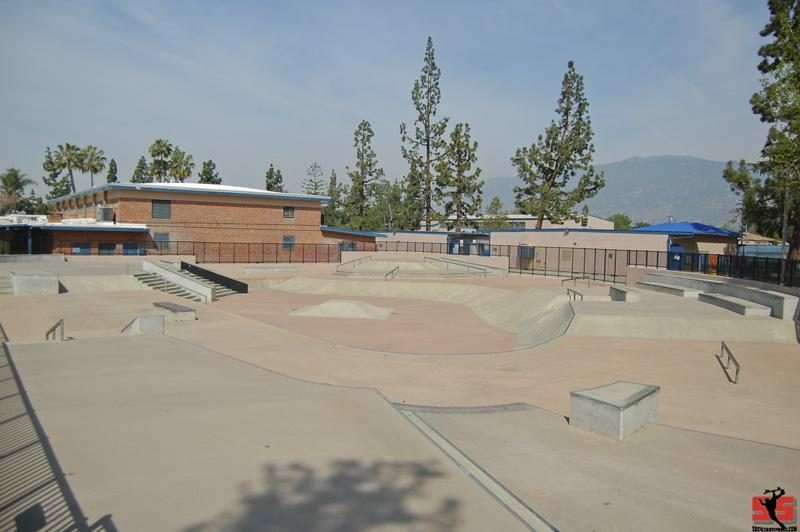 The design of the Azusa Skate Park definitely is geared toward the street skater. 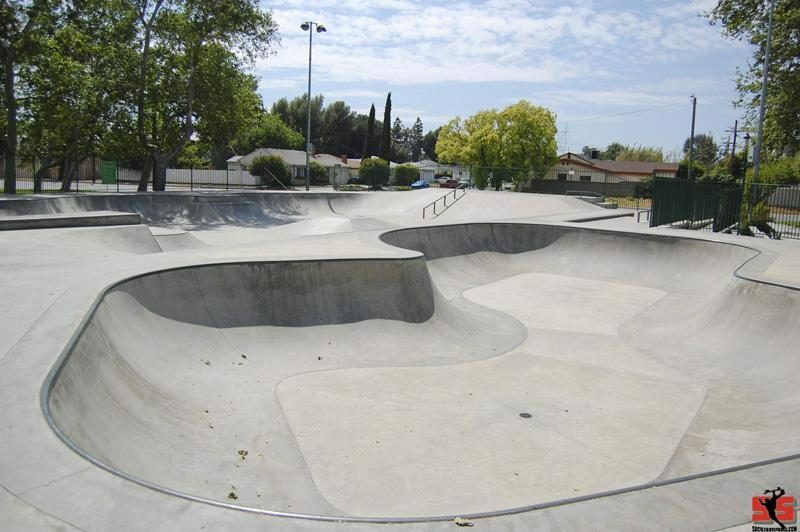 Ledges, rails, and an abundance of stairs will satisfy the needs of the typical street skater. 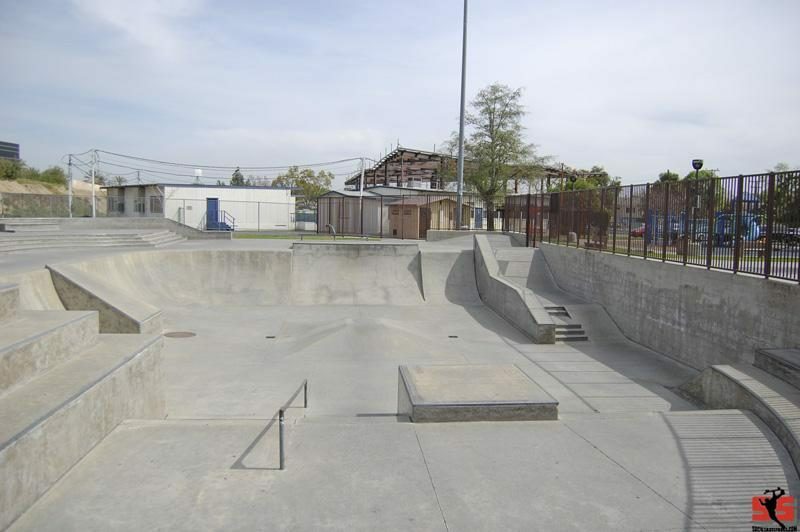 This Skatepark is more of a street designed park with the usual banks,stairs and ledges from big to small. The only major transition is two wall rides with a channel between them. 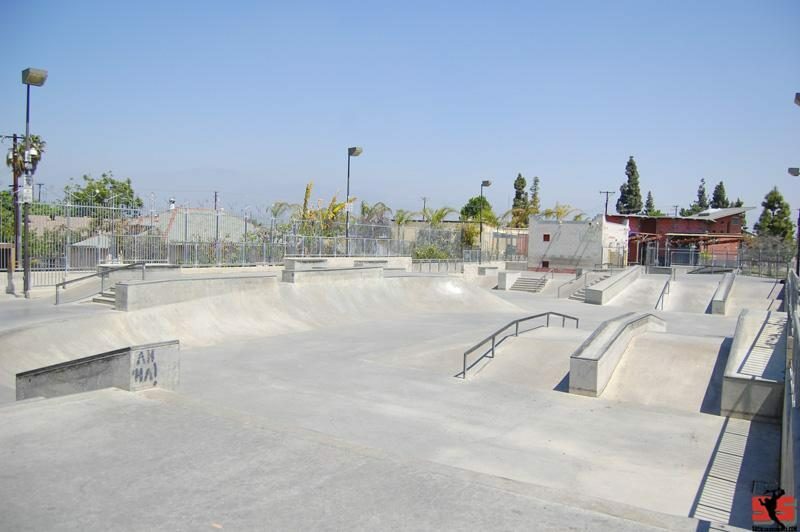 Bassett skatepark is a small skatepark with just a metal pre-fab half pipe,quarter pipe,bank and one flat rail. 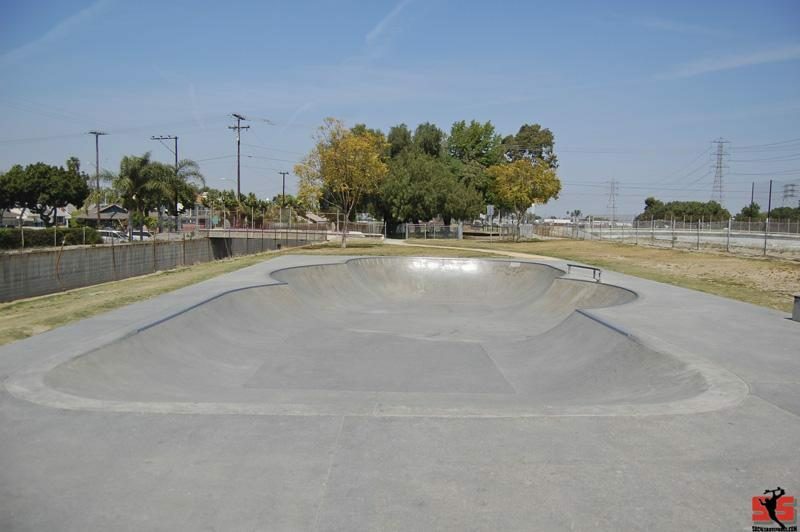 Bell Gardens is one of those parks that you wish was in your own community. 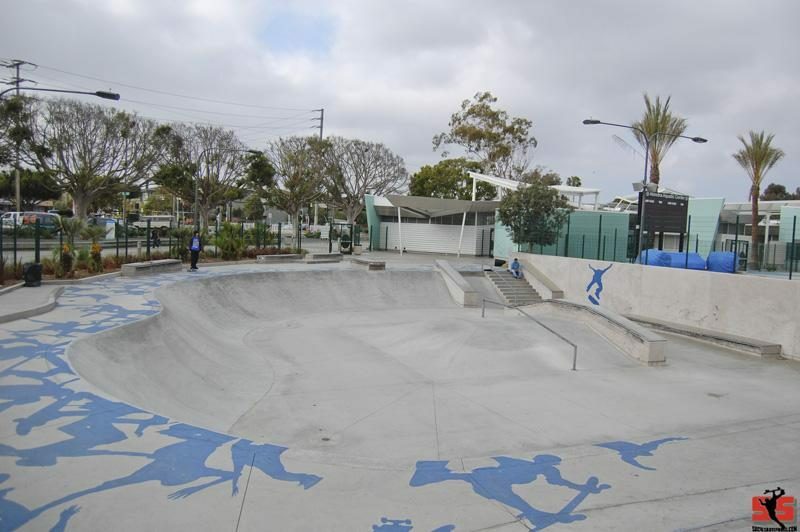 This mid-sized park offers and abundance of street obstacles and small transition skateboarding. 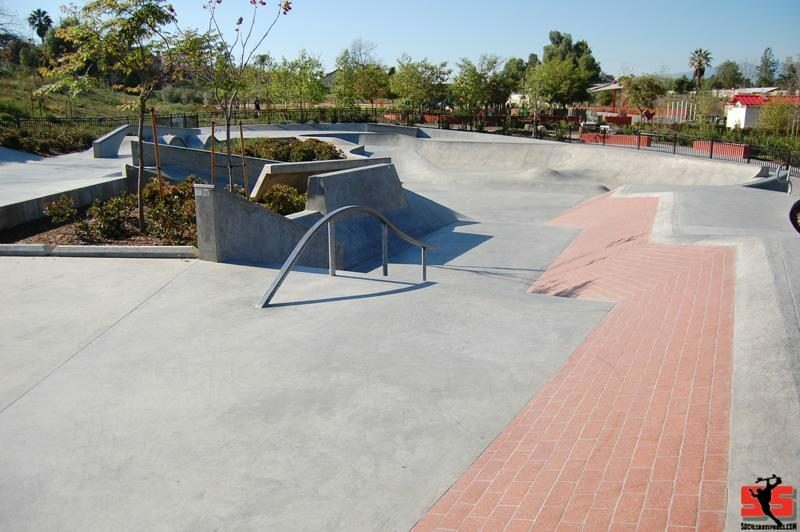 Belvedere ia a fun skatepark with medium to vert transitions laced in a snake run/flow street section. 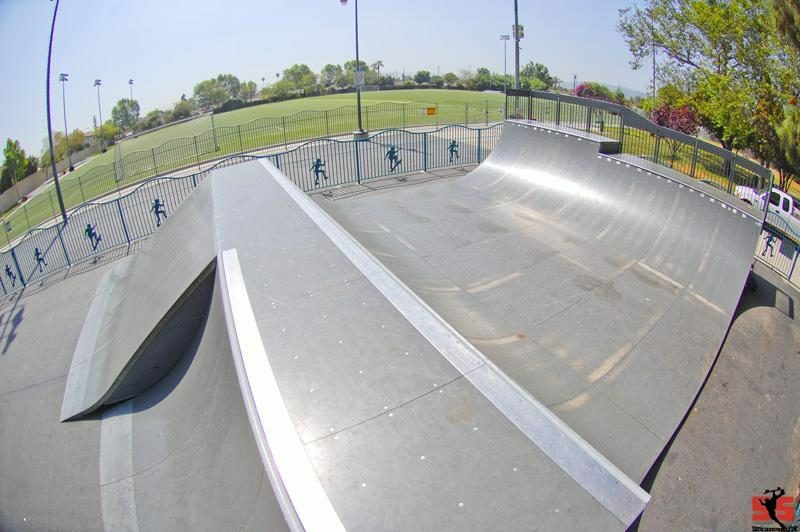 A couple unique features is a big wall ride and a ledge with a quick transition going down it. 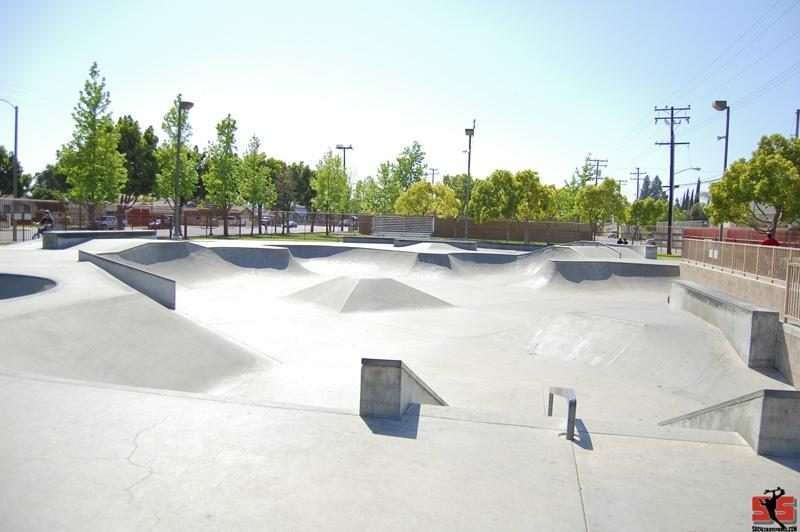 The park is poured well as is relatively fast and has some decent flow.